I've been trying to figure out how to do the hauls that I got while on my Niagara Falls trip, and I figure I'll break it down into these categories: CCO (MAC), accessories, random makeup/skincare, and clothes (which may be two posts). I'm going to post the accessories today. 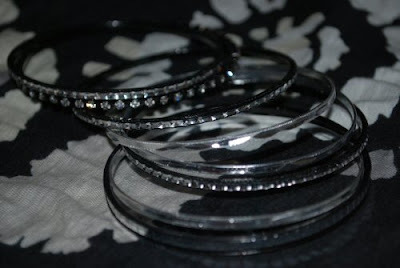 A set of bangles from Torrid. I have always had trouble getting bangles over my hands. I guess as Seinfeld would say, I suffer from man-hands. These, however, work perfectly. So if you can never find bangles that work for you, I'd really suggest trying Torrid. I'm really kicking myself for not getting more since I had forgotten that all jewelry was on for the BOGO 50% off sale. 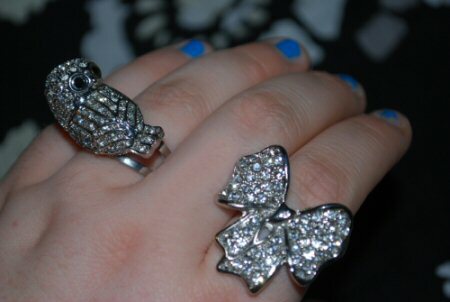 Owl and bow rings, both from Torrid. The only problem with the bow ring is that it popped off the band, but a little superglue fixed it right up. I have a problem with costume jewelry turning me green, but I always put two coats of clear nail polish over it and I'm usually fine. 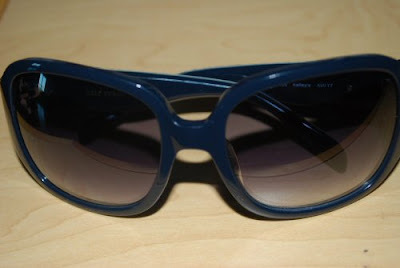 I got both pairs of sunglasses from Saks Off 5th on a BOGO 50% off deal and an extra 5% off with my Saks savings card! Both are navy blue, but are quite different. 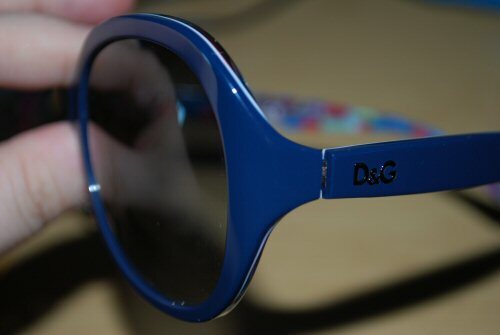 The D&G ones have a fun colorful print inside slender arms. And the Kate Spade have broader arms with an adorable etched flower print. 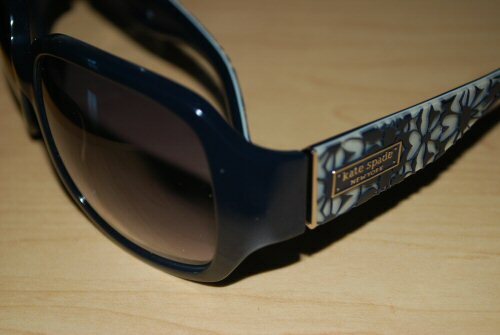 They also have a graduated tint on the lenses. 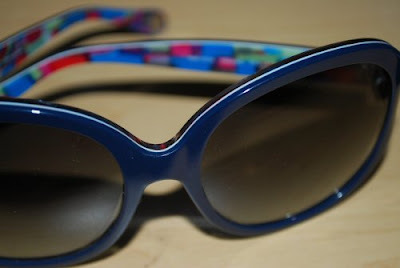 Both pairs will be super fun to wear this summer! I also got a belt and if I remember to show it, I'll show it with the clothes. The Memorial Day Weekend sales were pretty impressive!